Zagreb, Claims conference research funds and JOINT. what was important at that time, after the war in ex-Yugoslavia. 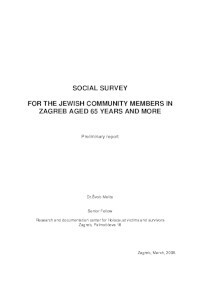 the implication of the aging in the Jewish community. work, voluntaries actions and solidarity in the Jewish communities.